A Utah jail refused medical care to a woman who died of an infection from gastric bypass surgery, even though she showed symptoms of pain, her family alleges in a wrongful death lawsuit. 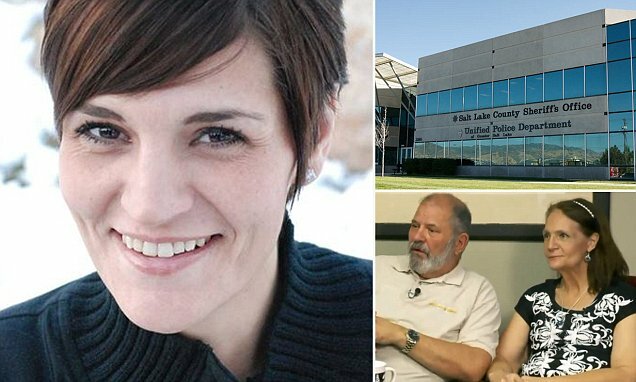 Lisa Marie Ostler, 37, spent roughly four days in Salt Lake County Jail before she passed in April 2016, according to her family in the lawsuit filed Thursday. Rocky Anderson, the family's attorney, asserts that the the jail broke Utah law by denying the Riverton native her rights of due process. 'Our daughter died a very painful death from a medical cause that was not related to drugs. And they couldn't get beyond looking at it as a drug event to get her any kind of help,' father Calvin Ostler said to reporters, according to Desert News. The suit claims that proper medical evaluation would have shown how imperative it was that Ostler get care, which never happened. According to the woman's family, Ostler showed 'obvious signs of excruciating pain' from inflammation of lining of the abdominal organs, or peritonitis. Jail employees refused to help her however. 'It's torture,' added mother, Kim Ostler. Inmates in the jail reported hearing the woman yell, moan, curl up in a ball and refused eating for two days and showing signs of dehydration. She was pronounced dead at the hospital on the morning of April 3, 2016. An employee filled out forms when the woman first arrived on March 30, explaining that Ostler had several medical condition that she took medication for, including Crohn's disease.